Diagnosed with typhoid fever at age of nine, Edith Wharton was beginning a long convalescence when she was given a book of ghost tales to read. Not only setting back her recovery, this reading opened up her fevered imagination to "a world haunted by formless horrors." So chronic was this paranoia that she was unable to sleep in a room with any book containing a ghost story. She was even moved to burn such volumes. These fears persisted until her late twenties. She outgrew them but retained a heightened or "celtic" (her term) sense of the supernatural. 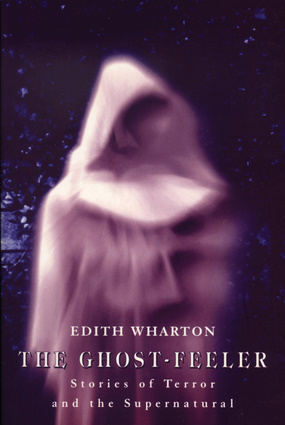 Wharton considered herself not "a ghost-seer"—the term applied to those people who have claimed to have witnessed apparitions—but rather a "ghost-feeler," someone who senses what cannot be seen. This experience and ability enabled Edith Wharton to write chilling tales that objectify this sense of unease. Far removed from the comfort and urbane elegance associated with the author's famous novels, the stories in this volume deal with vampirism, isolation, and hallucination, and were praised by Henry James, L. P. Hartley, Graham Greene, and many others. Edith Wharton was the author of more than 40 acclaimed literary works, including The Age of Innocence, which won the Pulitzer Prize.